Viet Nam lies along the east coast of Indochina, between latitudes 8º30' and 23º25' N, and longitudes 102º10' and 109º25'. The land is flat in the Mekong Delta, but the remainder of the country is hilly or mountainous. Elevations range from 0-4 m in the Mekong Delta to over 3,000 m on the Hoang Lien Son range in the north. Vietnam harbours an astonishing range of habitats, from rain forests and dry forests to mangroves and coral reefs, and is home to an unusually rich array of plants and animals. According to UNEP (United Nations Environment Programmes) Vietnam is the 16th most biologically diverse country in the world, with about 12,000 species of higher plants, 800 species of mosses, 600 species of fungi, 270 species of mammals, 900 species of birds of which about 100 are endemic, 180 species of reptiles, 82 species of amphibians and about 5,500 species of insects. Fresh-water in the mainland nourishes 1,420 algae, 544 fish of which 35 species are endemic, and 782 invertebrate species including 52 crustacean species. In the sea, Vietnam accommodates 2,038 species of marine fish, 225 species of shrimp, 50 species of marine snake, 4 species of marine turtle, 16 species of marine mammal, 298 species of coral and about 662 species of marine algae. Vietnam is the home to many animals. For example, 15 of 21 primate species living in the peninsular from Indochina to Malaysia are found in Vietnam. As we already know, Vietnamese forests support innumerable wild animals like tiger, elephant, bear, deer, monkey, etc. In addition, Vietnam also has two rare species of rhinoceros: one-horn (Dicerorhinus sumatrensis) and two-horn rhinoceros (Rhinoceros sondaicus) which take refuge in humid dense forests in the Truong Son range. During the former Chinese occupation times, the Vietnamese were ordered to enter the remote forests to search for elephant ivory, rhinoceros horn, and scene wood (trầm hương, Aquilaria spp. ), and to dive into the sea to search for pearl. Such stories are sufficient to reveal the wealth of our nation in natural resources. Vietnam has also been rated the 10th most important country for bird diversity and endemism, occupying about 9% of bird species of the world (about 10,000). There are three endemic bird areas: (i) the northern Central Vietnam’s Lowlands between 16° and 21°N (Quang Tri to Nghe An), (ii) the South Vietnamese Lowlands (Dong Nai, Song Be to Lam Dong), and (iii) the Da Lat Plateau (from Lam Dong to Kontum). In addition, about 100 migrant bird species spend short periods of time in many places - vườn chim in Vietnamese, the gardens of birds - in Dong Thap, Long Xuyen, Ha Tien, U Minh’s mangrove and melaleuca forests of the Mekong Delta. For example, each year about 200 – 800 sarus cranes (Grus antigone) migrate to the “vườn chim” of Tam Nông (Dong Thap) and Ha Tien. Indeed, Vietnamese birds are so diverse and abundant that one foreign bird-watcher reported finding 295 species of beautiful birds in the forests of Vietnam during his one-month visit, in addition to about 65 other species seen in the bird markets. Of the12,000 Vietnamese higher plant species, about 10,500 species have been identified, providing about 70 crops, 1,500 species for edible fruit and vegetables, more than 100 tree species for valuable timber, about 2,000 orchid species, and about 3,200 species for medicines. Canada’s total area is 30 fold larger than Vietnam, but it contains only 3,300 plant species. The richest country in biological diversity is Brazil with 56,000 species, but its total area is 26 fold larger than Vietnam. Indeed, on average for each ha, 160 plant species inhabit tropical rain forests of Vietnam and South east Asia, 90 species in Amazon forests of Brazil, and only 10 species in the forests of temperate regions like Canada. Vietnam also harbours a diversity of important crops and their wild species: rice, banana (Musa and probably Ensete), citrus, mango, taro (khoai môn, Colocasia esculenta), sugarcane, tea, and hundreds of forest tree species. BAP (Biodiversity Action Plan) reported that agricultural, forestry and marine products derived from biodiversity resources in Vietnam contribute US$2 billion annually to Viet Nam's revenue (in 1980s). Three quarters of national energy needs come from fuelwood. Wild plants and animals are used for medicines, food (for humans and livestock) and to support industries (e.g. paper mill) and handicrafts (bamboo, rattan, etc.). Plant is still the main source of pharmaceutical products. Furthermore, wild plant species are vital sources of genes necessary for breeding or genetic engineering programmes for adaptation to abiotic (soil, climate, etc.) and biotic (insect, disease resistance, etc.) conditions. Thus, we, the Vietnamese, are obliged to conserve our nation’s natural heritage for our forthcoming generations to utilize. Most Vietnamese think that the Vietnamese florae are of tropical origin. In fact we still have some vegetation of temperate origin. 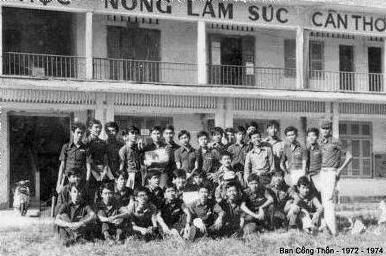 In our old days in the secondary school, we could not imagine several trees of temperate regions such as “ngô đồng”, or “cây phong” cited in our literature: “ngô đồng nhất diệp lạc, thiên hạ cọng tri thu – when the planetree leaves begin to fall, every one knows that the autumn has come”, or “Người lên ngựa, kẻ chia bào, rừng phong thu đã nhuộm màu quan san” (Nguyễn Du). Only a few people know that these trees of temperate origin also exist in Vietnam. For example, Vietnam supports 17 endemic species of Acer (maple, cây phong) (among 111 species of the world) occurring naturally on the mounts of Hoang Lien Son, Ngoc Linh, Bach Ma, Langbian and Vong Phu. Ngô đồng (platane, planetree Platanus occidentalis) does not exist in Vietnam, but we have a similar species, Platanus kerri, a very large tree occurring naturally in the forests from Ha Tinh to Lang Son. Similarly, Vietnam does not have horse chestnut (Aesculus hippocastanum) but Assam horse chestnut (Aesculus asamica) are abundant in the forests of Thanh Hoa to Cao Bang. Vietnam is home to three endemic species of Carya (analogous to pecan nut and hickory of North America), one beech (Fagus longepetiolata), one Castanea phansipanensis endemic to Sapa, 52 Castanopsis and 112 Lithocarpus species, which all belong to temperate or semi-temperate trees or shrubs. Vietnam is also home to 48 species of oak (Quercus spp.) (600 species of the world). Among the Prunus species of temperate regions, Vietnam has 13 endemic species such as Prunus cochinchinensis, P. cerasoides (forest cherry), etc., and even in the warm forests of Khanh Hoa P. arborea provides a very valuable timber (vàng nương). Since 1992, international scientists have searched Vietnam for new species, and their efforts have been rewarded. For example, botanists have described more than 100 new species of plants, many birds and even many large mammal species including three new species of muntjac, also called barking deer (Muntiacus truongsonensis, mang trường sơn; Muntiacus puhoatensis, mang Pù hoạt; and Megamuntiacus vuquangensis, mang lớn), a saola (Pseudoryx nghetinhensis)- a previously unknown genus related to oxen, a spiral-horn-oxen (Pseudonovibos spiralis), and a wild dog species (Viverra taynguyenensis, cầy tây nguyên). Ornithologists also discovered and described ten new bird species, e.g. the golden-winged-laughing thrush (Garrulax ngoclinhensis) which has been found nowhere in the world except on the slopes of the Ngoc Linh mountain, etc. Since these discoveries in 1992, biologists understood that they have only begun to appreciate the nation’s tremendous biodiversity: Vietnam’s rich biodiversity is due to its wide array of habitats, and this, in turn, is the product of geological and climatic changes occurring over millions of years. Vietnam lies in the tropics. Through geological time, when glaciers periodically wiped out the flora and fauna at high latitude areas, tropical lowlands have remained warm and provided moist nurseries for evolving plants and animals. In addition, Vietnam is situated at the point of three converging continental plates: the Eurasian, the Indo-Australian, and the Philippine Sea. Over hundreds of millions of years, these plates migrated and collided, bringing together a disparate assortment of plant and animal species. Over subsequent eons, the sea level rose and fell; mountains grew upward, then shrank through erosion; river courses naturally shifted; and the variety, size, and locations of forests changed with alterations in the climate. In such conditions, Vietnam’s habitats and environments have been evolutionary nurseries for new and unique species. The knowledge of Vietnam’ biogeographic history helped biologists to enable to predict and pinpoint several biogeographic zones where new species might be found. At least, four major endemic centres have been identified: (i) the Hoang Lien Son mountains in North Vietnam, (ii) the humid forests of the northern part of Central Vietnam, (iii) the Ngoc Linh mountain in the Highlands of Central Vietnam, and (iv) the Lam Vien Highlands of the southern part of Central Vietnam. Hoang Lien Son with its highest peaks Fansipan (3,143 m), Ta Yang Phinh (3,096 m), Pu Song Sung (2,985 m) where snow and frost occur in winter, is home to many tropical plant species at the base, semi temperate species at the centre, and temperate species at the high elevations. It supports about 2,000 plant species of which 25% are endemic, 68 mammal, 61 reptile, 553 insect and 347 bird species. Hoang Lien Son was named by the presence of a valuable medicinal plant called hoàng-liên – Coptis teeta Wall.- which contains aconitin, japaconitin for the treatment of liver disease. A giant ancient mushroom, weighing 5.7 kg, is also found here. Among the important and precious temperate tree species, the cypress pine (Cephalotaxus hainanensis), yew (Taxus wallichchiana) and pemu (Fokienia hodginsii) are dominant at high elevations. Many species of birds such as spotted eagles, laughing-thrushes, red-combed pheasants , rufous-necked herons, and animals such as Asiatic black bears, and red-faced monkeys have been classified as rare and precious to the world. Ba Be area is a complex of rivers, lakes and mountains. Ba Be Lake is the largest fresh-water reservoir in Viet Nam, and is on the list of the world’s 20 most precious fresh-water lakes. Ba Be forest accommodates 650 plant species including thitka (Burretiondendron tonkinense), 400 animal species including the snub-nosed monkey (Rhinopithecus avunculus), Francoi-leaf monkey (Trachypithecus francoisi), and many kinds of fish such as the fresh water parrotfish, bagarius and dwarf catfish. The second most important endemic centre is the Ba Vi region, encompassing a large area from Hoa Binh to Nghe An. The Ba Vi mountain is also called Tản Viên where the Sơn Tinh (God of the mountain) and Thủy Tinh (God of the underneath water) legend comes from. Its highest peak is Ngoc Tan (1,281 m). The Pu Luong-Cuc Phuong limestone mountain range is a globally important example of a karst ecosystem and is the only remaining large area of lowland limestone forest in northern Vietnam. Cuc Phuong has been home to man for well over 10 millennia and many of its numerous caves show evidence of its earliest inhabitants among which “Mammal Cave”, dating back to the 10,000 B.C.E, is renowned for Son Vi culture. A century ago this area was covered by a contiguous dense moist impenetrable forest where “ma thiên nước độc – ghosts and poisonous water” reign. Nowadays, the remaining primary forests are situated only in Cuc Phuong, about 22,000 ha, dominated mainly by limestone forest, in some places it stratifies as many as in five layers, with numerous gigantic 1,000-year-old trees which rise 70 meters high. The flora of Cuc Phuong contains elements of the Sino-Himalayan, Indo-Burmese and Malesian florae. A total of 1980 higher plant species (in 887 genera, 221 families), 319 bird species (40 percent of all Vietnam's bird species) including two globally threatened bird species, chestnut-neckaced-partridge (Arborophila charltonii) and red-collared-woodpecker (Picus rabieri) and 12 globally near-threatened bird species, have been recorded in Cuc Phuong, along with 88 mammal species including 38 bat species. There are 50 reptile and amphibian species, 111 snail species of which 27 are endemic. At least 1,800 insects species have so far been identified. The butterflies are particularly beautiful comprising 280 species, of which seven were new species to the world. A catfish species (Parasilurus cucphuongensis) endemic to the cave has also been identified recently. Several mammal species which were previously believed to be extinct have been seen at Cuc Phuong: Delacour-leaf-monkey (Semnopithecus francoisi delacouri), Owston-banded-civet (Hemigalus owstoni), and leopard (Panthera pardus). Among many endemic tree species, two are economic: Cuc phuong pistacia nut (Pistachia cucphuongensis) and Heritiera cucphuongensis. The third most important endemic centre is the Truong Son mountain range, which lies in western Vietnam along the border with Laos and Cambodia. Monsoon rain falls on the eastern slopes, enabling lush, evergreen forests to grow at high elevations. The western slopes, which are sheltered from the rain, support plants and animals that have adapted to a drier, more seasonal climate. The Kon Tum Plateau, a region of steep mountains and rain forests, also supports tremendous biological diversity. Many of the species appear related to animals and plants in Malaysia and tropical Indonesia, an indication that they all share common evolutionary roots. The forests comprise temperate and subtropical pine-dominant forests, mixed conifer and broadleaved forests, dry upland and moist lowland dipterocarp forests. Ngoc Linh mountain with its summit at 2,598 m, second highest peak after Fansipan, has the highest annual rainfall in Vietnam (4,000 mm), its forests encompass an area of about 50 km2. Between 1998 and 2000, several international teams of scientists (Center for Biodiversity and Conservation at the American Museum of Natural History; the Missouri Botanical Garden, BirdLife International, etc.) and Vietnamese scientists carried out a series of expeditions to this area. Plant scientists discovered dozens of species new to science, particularly several new cycad species, an unusual group of plants sometimes referred to as “living fossils” because their evolutionary roots trace back more than 280 million years. Since then, Vietnam became a centre of cycad diversity; its 24 species exceeds the diversity of cycads in any other Asian country. The report revealed the presence of 878 plant, 52 mammal, 190 bird, 41 reptile, 23 amphibian and 236 butterfly species. Two species of muntjac and two new bird species were discovered in this area. Ngoc Linh was named after a very precious indigenous medicinal plant called “ngọc-lỉnh” - a Vietnamese ginseng (Panax vietnamensis). In adjunct, Chu Mom Ray primary forest is home to many plant and animal species: wild buffalos (Bubalus bubalis) which were once thought to live only in Nepal and India, wild oxen (Bos javanicus) which are in danger of extinction on the Malay peninsula and Java, and gayal (Bos gaurus), etc. Additionally, the park is a shelter for tigers, elephants, leopards, cats, and particularly birds including pea-fowls, pheasants, phoenixes and laughing-thrushes. Another forest -Kon Ka Kinh - covers mountain ranges of 1,200-1,500 m in height, accommodates many animal species which are listed in the Red Book of Viet Nam and the world, such as tigers, monkeys, Javanese pangolins (Manis javanicas), and Siamese firebacks (Lophura diardi). The fourth endemic centre - the Lam Vien Plateau with its highest summit Langbian (2153 m), Bi Dup (2,286 m) and the Dinh Gio Hu (Whirling-wind summit, 1,621 m) - is very rich in temperate plant species (such as coniferous), orchids and birds. In adjunct to Truong Son Nam, there are many other high mountains which are also rich in biodiversity in flora and fauna. Chu Yang Sin mountain (2,442 m), 80 km north west of Nha Trang, and surrounding forests of about 40,000 ha, support 876 plant, 203 bird and 16 mammal species. Of the trees, dipterocarps are dominant at the low to the middle elevations, but at the elevations above 1000 m, coniferous are dominant with endemic valuable species such as Pinus dalatensis, Pinus krempfii, Pinus kesiya var. Langbianensis, Podocarpus imbricatus and Fokienia hodginsi. Vong phu mountain (2,051 m), between Phu Yen and Khanh Hoa, and its 9,000- ha-forest, accommodate 191 species of plants, 22 species of mammals, and 55 species of birds. Some precious and rare animals, such as pheasants, red-faced monkeys, Tibetan bears, Malayan bears, pangolins, and panthers, also live here. Hon Ba mountain, 60 km South West of Nha Trang, where Dr Alexandre Yersin (1863-1943) built in 1914 a biology laboratory, a meteorological station and a field experiment station for quinine (Cinchona ledgeriana). Since its summit is relatively high (1,500 m), the climate is as cool as in Da Lat, and in contrast to the dry habitats of the surrounding lowlands of Dien Khanh or Cam Ranh, rain occurs all year round at Hon Ba (252 days of rain per year), these diverse habitats enable a very diversified flora to flourish, from species which are adapted to a dry and hot habitat at the low altitudes, to temperate plant species at the summit. The site supports a large area of undisturbed primary forest which includes the conifer Fokienia hodginsii. Hon Ba is home to several endemic tea (Camellia) species, hundreds of orchid and bird, and several endemic butterfly species. A new species of lizard was discovered recently (June 2005) by the Russian scientists. Rare birds including the robinsoni subspecies of Black-headed Sibia, Yellow-billed Nuthatch, Grey-headed Parrotbill, Black-hooded and White-cheeked laughingthrushes and Short-tailed Scimitar Babblers, etc. are found only in Hon Ba. Thus, forest is the kingdom of plants, animals, insects, etc. which provide foods, medicines, products for construction and industry, etc. and the beauty of nature. Forest holds up the rain, reduces the running-off, thus it minimizes the severity of flood and erosion. Mangrove forest protects the coastline against typhoons, high tides and tsunamis. More importantly for the Mekong Delta, mangrove forest promotes the sedimentation of silt carried by the Mekong River in a way that the coast land has been advancing to the sea at a rate of 10-60 m per year depending upon the location. Forest releases oxygen and absorbs carbon dioxide released by industry through its photosynthesis and hence the global warming can be avoided. It also cleans the polluted air, for example some plant species such as myrtle (Bằng Lăng, Lagerstroemia spp.) has the ability to absorb polluting gases such as ozone and nitrogen dioxide. If the forest is destroyed, great disasters and more disasters should not be far behind. “Au plus profond des bois, la patrie a son coeur, un peuple sans forêt est un peuple qui meurt” (André Theuriet, 1833-1907) “Người hởi ! Hồn tổ quốc ngự giữa rừng sâu thẳm, Rừng điêu tàn là Tổ quốc suy vong” (Bùi Bá dịch) or “Thần dân nghe chăng? Sơn hà nguy biến, Rừng dày nào còn, xoi mòn đang tiến ..,” (Phạm Hoàng Hộ, Cây Cỏ Việt Nam, 2000) “Country fellows, do you hear? Our country is in danger, no dense forests remain, soil erosion is advancing..”. Journalist Andrew Lam, after his return to his homeland, wrote an article published in the San Jose Mercury News dated 30/10/1998 describing the situation of natural environment in Vietnam. He cited an interview of General Vo Nguyen Giap by a foreign journalist whether, hypothetically, the Vietnamese could ever wage an effective guerrilla war as they once did against the French and the Americans. "No," the octogenarian ruefully answered. "I'm afraid that would be quite impossible". "Why not?" the journalist asked. "We used to hide in the forests when we fought those wars but now there's no forest left". Indeed, during the 60 years since 1943, the wars, particularly during 1960-1975, have destroyed about 2 millions ha of forests by bombs and defoliant, but after the war since 1975, in the peace time, more than 10 millions ha of forests have been destroyed by the Vietnamese themselves. The causes of deforestation in Vietnam are numerous: wars, fires, over-exploitation for fire woods, woods and timbers for local consumption and export, clearing for agricultural purposes, such as new plantations of rubber, tea, coffee, cashew, black pepper, grazing fields for livestock, etc. in the Central Highlands, and aquaculture in the Mekong Delta. A total of about two million ha of forest including 100,000 ha of mangrove were destroyed through the direct effects of war from 13 million tonnes of bombs and 72 million litres of defoliant. Forests in the Central Highlands, particularly the dry dipterocarp forests, and the melaleuca forests in the Mekong Delta are recognised as fire-prone. Annual fires have destroyed an average of 25,000 ha, or more, of forest per year. Logging both by government timber units, and also illegal cutting by various unofficial units, have cleared large areas of forest. Logging has caused a degradation of about 70,000 ha of forest per year and an absolute loss of about 30,000 ha per year. It is estimated that up to one million cubic metres of timber is illegally extracted from protected areas within the country each year (South China Morning Post, 8/11/2000). Although logging for export has been banned since 1994, but for years the government turned a blind eye to the sale of raw logs which further ravaged the forests. It should be noted that much of the current loss of forest to agriculture is caused by government resettlement programmes in which hundreds of thousands of new settlers from the north are being settled into the still rather forested regions of the Central Highlands. Vietnam is now a major exporter of rice (2nd largest exporter of the world after Thailand), coffee (eighth largest exporter), cashew (third exporter behind India and Brazil), rubber, tea, black pepper, fishes and shrimps. Vietnam's high human population density - 80 million people who subsist largely by farming, clearing land, and grazing livestock - has taken a heavy toll on its natural habitats. The coastal and alluvial forests in particular have been hardest hit, almost no undisturbed forest remains at low elevations in Vietnam, only remaining pristine forests are isolated patches on remote mountain peaks. A special problem is encountered in the mangrove areas of the Mekong Delta, where mangroves were seriously destroyed as a result of defoliation during the war, and then more seriously by the shrimp pond farming after the war. Many farmers moving into shrimp farming without sufficient technical skill or money for the necessary infrastructure (e.g. to clean water and drainage) have found the land is useless after as little as three years. Consequently, shrimp farming is at risk from disease. For example, a virus wiped out almost the entire shrimp harvest in Vietnam in 1994-95. In order to intensify shrimp production for export, intensive shrimp farming technique used excessive amounts of antibiotics and chemical additives. Eventually Vietnamese shrimps and fishes were banned for some time in the EU and USA, farmers became bankrupt and the shrimp ponds and surrounding water systems became so poisoned that the land could only be abandoned. The role of mangrove forests in providing thatching for roofs, firewood, charcoal, medicinal plants and honey, as well as mangrove's role in protecting the coastline, has been lost in many places in Vietnam. Conservationists, Vietnamese and international, are alarmed by both the ongoing deforestation and the forest fragmentation, because small regions of forest cannot support the same biological diversity that a larger forest patch can. Many large mammals need tens or hundreds of square miles of contiguous forest in which to roam, feed, and mate. In addition, the rampant illegal wildlife trade has also exacerbated the threats to wildlife and other natural resources. Illegal hunting and trade are a big problem in Vietnam today. China's growing wealth and insatiable demand for all forms of wildlife for food, pets and medicine have created trade lines that extend throughout the country. The small province of Ha Tinh alone exports three tonnes of tortoises a year to China. Primary gateways for the wildlife trade to China are Hai Ninh, Lang Son, Cao Bang and Lao Cai. Dogs, cats, frogs, turtles, snakes, geckos, primates, birds and pangolins are the main trade items. Owston's palm civet and the sun bear are the most favourite medicines in China, Taiwan and Korea, a single specimen of Cuora trifusciata, for example, which is believed to cure cancer, fetches circa $US 1,000. Another major trade centre is Saigon port where, it is very easy to export wildlife on boats to Singapore, Taiwan and Japan. Main export items are rare animals, ivory, primates, turtle shell, reptile skins and birds. Saigon is the clearing-house for ivory coming from Laos and Cambodia. Overfishing with traps, nets, poisons, explosives and electrical devices is seriously damaging stocks of many species in both fresh water and coastal waters. A few large farms claim to breed crocodiles, pythons, other snakes and monkeys but in fact act as legal loopholes for the export of large quantities of wild-caught wildlife. In 1996, the Red Book of Vietnam listed 300 animal and 350 plant species as threatened. In 2003 the World Conservation Union listed 284 species of animal and plant species as critically endangered including 34 bird species, 45 mammal species, of which 5 are among the 25 most endangered primates in the world (Delacour's leaf monkey - Trachypithecus delacouri; the Cat Ba leaf monkey - T. poliocephalus; the Tonkin leaf monkey - T. francoisi); the gray-shanked douc - Pygathrix nemaeus cinerea; and the Tonkin snub-nosed monkey - Rhinopithecus avunculus), 27 reptile species - most of them turtles - are listed as vulnerable, endangered, or critically endangered. In the 1960s, the forests of Vietnam supported elephant, rhinoceros, tiger, wild oxen, and buffalo. In 1980, an estimated 1,500 to 2,000 elephants roamed the forests of Vietnam; by 2000, the population had dropped to between 85 and 114. A Vietnamese expert report estimated that in 1995 as few as 200 tigers remained in Vietnam, but Vietnamese zoologist Vu Ngoc Thanh thought that the actual number is lower - as few as 80 tigers left. Edward's Pheasant (Lophura edwardsi)which may be extinct in Vietnam, but luckily it is maintained in captivity in France’s zoos. So is warty pig (Sus bucculentus) which was reported extinct in Vietnam, but some of them were detected recently in Laos. Wild buffalo and kouprey (Bos sauveli) have disappeared. Sika deer is no longer seen in the forests except in some farms. One-horn-rhinoceros has gone, only 8 two-horn-rhinoceros survive today. Two plant species were reported extinct, an orchid hoa-lan-vệ-hài (Paphiopedilum delanatii) and a dipterocarp Chai-lá-phăng (Shorea falcata), both are endemic to Khanh Hoa’s forests (luckily, 6 young trees of Chai-lá-phăng were recently found in Cam Lâm (Cam Ranh) forests). In addition, 6 plant species were listed as most critically endangered: Thiên-tuế-lược (Cycas micholitzii), Kiền-kiền (Hopea hainanensis), Xoài-núi (Mangifera flava), Sâm-nam (Panax vietnamensis), Thông-Đà-Lạt (Pinus dalatensis) and Thông-lá-dẹp (Pinus Krempfii), and another 24 and 299 plant species have been listed as endangered and rare, respectively. The condition of coral reef is also declining, with about 96% of coral reefs severely threatened by human activities, particularly in Ha Long Bay, Cai Ba (Hai Phong), Khanh Hoa, Ninh Thuan and Binh Thuan. Studies conducted between 1994-1997 showed that only 1% of the country’s reefs are in excellent condition. A question that has arisen is whether the Vietnamese government have any solutions for the protection and conservation of forests and their resources? Since 1958, Vietnam has delivered a total of 60 legal documents including Forestry Law (1991), Decisions (1993, 1995), Decrees, Regulations, etc. dealing with the protection of forests and watershed, ban on hunting and logging valuable timbers, establishment of a protected area system of parks and nature reserves. In 2001, it was reported that Vietnam has 93 national-level-special-use forests covering 2.1 million ha, 17 national parks, 58 nature reserves, 18 protected landscape areas, 15 protected marine areas, two botanic gardens, two zoos, four seed gene-banks (stored seeds of 6,500 cultivars of 34 main crops) and several medicinal plant gardens. In 1993, Decision No 327 decided an ambitious programme aimed to protect and restore existing forests and reforestation on degraded lands, followed by a five-million- ha – reforestation-and-re-greening programme starting in 1998. Vietnam is a member of the United Mekong Commission (Man and Biosphere Programme), Ramsar Convention on Wetlands, IUCN (World Conservation Union), Earth Summit in Rio de Janeiro in 1992, and Vietnam signed the CBD (Convention on Biological Diversity) in 1992 and CITES (Convention in International Trade in Endangered Species) in 1994. In 1998 the World Bank hired forestry consultants Fortech to "describe, analyse and evaluate" the Programme 327 of Vietnam. Fortech's consultant pointed out that under the programme “areas of natural forest in Vietnam had continued to decline and that fast-growing tree plantation programmes had largely failed”. Among the problems listed by the consultant are “a top down bureaucratic approach, land allocation that does not involve local people, poor silvicultural practices, the project was simply imposed on poor households without their input, etc.”. Although Vietnam has many laws dealing with biodiversity conservation, forests and biodiversity are continuing to decline. The main causes are nobody likes to oblige or to execute the laws. On 20 August 1993, while on a visit to the port of Qui Nhon, a centre of the timber industry in Vietnam, Prime Minister Vo Van Kiet re-stated that logging for export must be stopped immediately and existing contracts cancelled. A few months later, 50,710 cubic metres of illegally cut timber were seized at this very port. Vietnamese tabloids such as Tuổi Trẻ reported frequently illegal logging, and hunting even in the protected forests and national parks. A major problem is the fact that the peasants living in these areas are so poor (<$US 80/year), the government salaries are so low and the officers charged with enforcing these regulations in fact derive a major part of their income from this very trade, and the newly rich-capitalist class are so greedy. “Bức dây động rừng” – detachment of a liane will tremble the forests - Although aware that the threats to the country's ecology are great, it also knows that the threat of political and social instability is far greater. Environmental protection is the last thing on the government’s minds. Any movement to suppress deforestation would most likely end up in mass revolt of the poor peasants . Reading (UK), 01 November 2005.